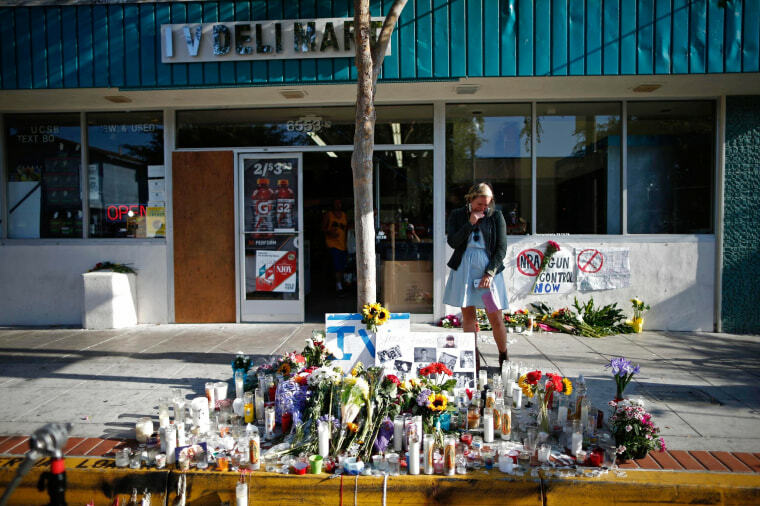 UC Santa Barbara sophomore Alyssa Hopper ducked and called 911 as a gunman opened fire at an Isla Vista deli Friday night, killing one of six people during a killing spree that spanned several blocks in the seaside community. Hopper said she heard more than a dozen shots fired during the drive-by shooting. “It turned into absolute mayhem,” said 19-year-old Hopper, who can be seen ducking down in surveillance video. She said the store was filled with people, many fleeing through a rear exit. "All the people who got stuck in the front were pretty much trapped right there," Hopper said. But Hopper, who was not injured by the gunfire, stayed behind to help a victim, 20-year-old UCSB student Christopher Ross Michaels-Martinez. Attempting to save his life, Hopper made a shocking discovery. Michaels-Martinez died from his wounds. Hopper returned to the deli Sunday, struggling to step inside knowing she did all she could to save Michaels-Martinez.